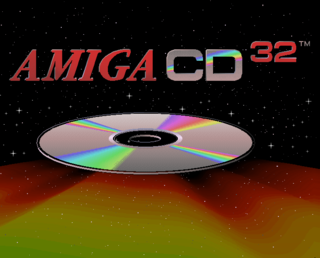 The Amiga CD32 was one of the many casualties of the CD console wars of the early/mid 90's. While it did have some success initially, it was soon overshadowed by other consoles and never gained a large foothold before Commodore shut their doors. It also never had many units sold outside of Europe, hurting the already dying Commodore. Hi Mum. Did the bells fall off? Adam, Adam, Adam... You're the Best!!! You call yourself a KING ??? Always remember our lucky 13th! not blame the operating system!" This page was last modified on 5 July 2017, at 22:13.